The kids are out of school now and its time to hit the road for a little vacation time!! But, what will you do to keep the kids entertained for several hours on the road? I found several games to do in the car, along with printables for the kids to draw or write on. Trip Savy offers several printable games for kids to do in the car. Grab some pencils or pens and clipboards and there will be plenty to do on your trip. Family Travel Magazine offers several handheld small games and other items for kids to play with while on the road. I loved Auto Bingo when I was a kid. Just Bright Ideas has 30 road trip games and ideas from printables, coloring books to packing a travel bag for kids. Several DIY projects to make too. Didn’t find something interesting in the other 3 listed above? 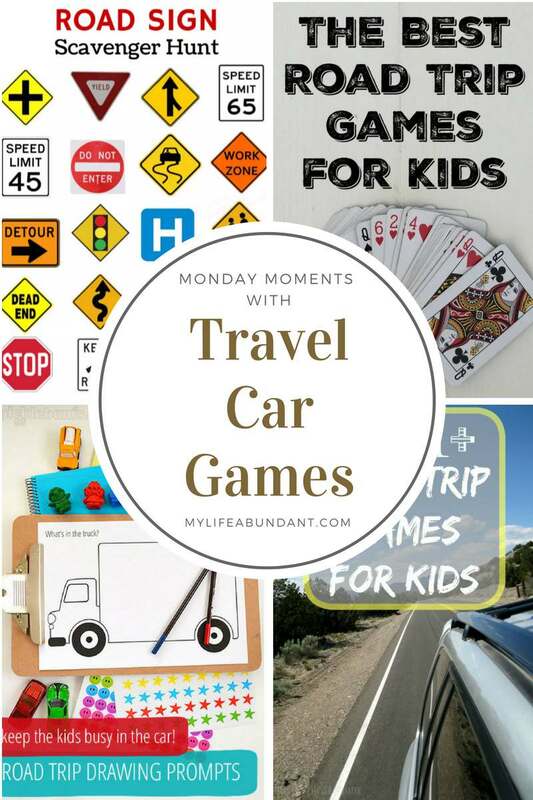 Then check out over 100 road trip games and activities for kids in this listing by The Typical Mom. Great tips. I have one grand who is old enough to play games in the car already and another who will be old enough shortly. They really help pass the time. Mr. G and I still love to play games while we are on trips. I think all ages enjoy doing that sometimes. We love to listen to Audiobooks in the car; this last road trip I didn’t pack more than one book and we finished the one we were listening to only 1/2 way on our way TO our vacation. Luckily my boys packed well and kept themselves occupied. I love to listen to books too and that does make those long drives bearable for sure.